Really I like it so far. Gym’s fun, so is music. The games are really fun and not too easy either. It’s cool, really cool. Hello my name is Alex. Nothing is the same with out you. I like your rule no bullying. I just want you to know we miss you. Thank you. The XO laptops are fun, really fun! You can chat with others, and you can do almost anything on it. My favorite thing is going to webkins.com website. The XO Laptops are so awesome, I wish I had one at home. You have to get your child in this class room, Room 12. The teacher is Mr. Mark Ahlness, he is a great teacher and the computers are cool. If you are reading this, get your child in room 12 today. I had a soccer game today. We won. I was the captain of our team. I wonder what I will do this weekend? And what I will have for dinner tonight, I hope it's pizza, my favorite! My blog is going well. I am not having any problems. Not any problems. Hello my name is Alex. I am 8 years old. I have 1 brother and sister. I have 1 fish. My favorite food is pizza. My favorite game is laser tag. Hello I am a student in room 12. My mom works in Bellevue for the parks and recreation department, she does all kinds of fun things and loves her job. My dad is in into construction. My sister likes fashion a lot. I like sports and computers and I like building too, like my dad. So that’s my family. I hope you like them as much as I do. Today the xo laptops got a new look. It has more games on it. They look way different. The new main menu looks like a circle. But it is. My favorite is a cat game. But it is way better. Hello my name is Alex. I like soccer. It’s my favorite sport. I play for the green blades. My favorite position is goalie. It’s so fun. We always win. I don’t know what league we play for but we have fun. I am also going to go to a party at my friend's house. His name is Leo. What will happen on Halloween? I wonder what my friend's party will be like. His name is Leo. I like him as a friend. He’s funny and nice. Sometimes he goes insane. It’s funny. He has a log cabin. On a island. I never been. He has good parents. His grandmother is nice. I haven’t met the rest of his family but I’m sure they're nice. His block has lots of candy! And I know! My family is remodeling our house. Now I’m living in the house next door in a rental house while we remodel. My dad is doing most the work. This is a small house. But the new house will be great and a lot bigger than the one we used to have. I’ll have my own bedroom. So I won't have to share with my sister like I used to. Our house will be big! I’m going to have video games and a game room. I will have cool video games, and not just the educational ones like I have now. I hope Obama will win. We are attacking the wrong place. And in our school Obama won too. I’m so glad he won. Here he won by lots of votes. Yesterday I watched the election. Barak Obama won. And my dad cried, he was so happy. I almost cried but didn’t. But my dad kept on crying. He was too happy. It was weird. My mom didn’t cry but she was so happy she just smiled all night long! We are so happy and excited about the changes that will happen in our country. Recess is fun. The teachers are nice and fun. And our responsibility is to bring in the ball cart. I haven’t done it yet. I am wondering what Veterans Day will be like. I wonder what we will do on our weekend. I might go to the movies. I am good at soccer. I like spelling time at school. I feel bad. I don’t like early dismissal. I think there should not be a early dismissal. Early dismissal is not cool. I want to stay in school all day. But some people don’t like school. Not cool. My favorites are math, blogging, and spelling. But my favorite is spelling and our new math book. For a about week. I am really scared about the report cards. I wonder how I am doing in school. I wonder why we have report cards. I wonder how to read them. I wonder what my grade will be like. I really hope I get a good grade. Too bad some kids don’t get a reward. Like some other kids. I wonder how the comments will be like. Check out this cool game link. It's sponge bob playing baseball! I wonder what christmas will be like. I am a wondering guy. I like to wonder about lots of things. Like math, the world, and battle. Dear Mr. presidential elect Obama, will you help us? Our school is about to close. Some kids cried when they were interview by kiro 7. A girl cried when she came back from reading group. I don’t know any more people that cried. 1. Do more research on Indians. I know lots about Mexican Indians. So I can watch the history channel more. Mayans. I like the Mexican Indians. It will be Fun. No more snow!!! Please no more snow. I am just sick of it! No school and all of that fun stuff. Please no more snow. No more snow!!! Now more snow!!! No more snow!!! I have a dream that all cars would stop flooding the world with pollution. And all men wood never fight again. Go Obama. I am so happy you won. I wish all the presidents would be like you. Just like you. Today my dog died. My brother, dad and I are very sad. He was a husky dog. My dad bought him when I was a one year old. My uncle's wife is having a two babies and so is my brother's wife. I'm going to be a cousin and an uncle at the same time. My mom has to go to a baby shower. I think it will be boring. Know what is not cool? I can’t come, no boys allowed. Not that I want to. The hoop shoot was fun and I didn't win. Not that I wanted to win. I didn't win in the poster contest either, not that I wanted to win. And it was fun too. Yesterday was awesome. I found 60 bucks. On a machine at the family fun center. Hi Ms. Bailey. I am a student in room twelve. I am not really into music but everybody is sad that you're not here. I went to the husky football practice. We saw Jake Locker. His number is 10. He was in a yellow shirt. That means you can’t tackle him because he got hurt. We also saw a lot of different sports like women lacrosse and baseball and soccer and finally soft ball. We got into baseball free and lacrosse. It was cool. I like it a bit and don’t. Well it is fun. I like when we get to draw. I drew star wars space battle. It had a lot of tie fighters, planets and ships and I made up a thing or to. It was so fun. My book is going well. Mr. A our teacher takes the pictures we drew. And we copy our story of our blog at roomtwelve.Com at arbor heights.Com. 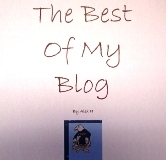 Oh and the name of my blog is the Best of My Blog. And each book has at least ten articles and five pictures. I have ten articles and five pictures. 1. The look of my blog is a modern control panel thing. I think it is cool. 2. I have about 30 articles. A couple are games. 3. I wonder what my password will be. And how hard it will be to type it. 4. We wrote a book with the top ten articles from our blog. And we drew pictures of them.